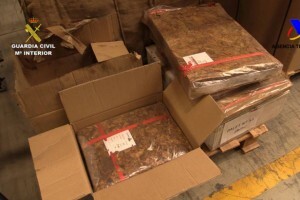 IN A joint investigation between the Guardia Civil and the Tax Office under the codename ‘Rosa’, two people have been arrested and a plant producing ready to smoke tobacco has been closed in what is described as the largest seizure of its kind in Spain to date. Working with the Association of Tobacconists in Granada who had been heavily hit by this illegal operation, an investigation commenced in January 2016 which included checking web pages offering tobacco for sale. It transpired that much of this tobacco was produced in unsanitary conditions without following legal production requirements with no tax being paid or declared. Having identified three properties in Chauchina (Granada) the combined operation noted the arrival of leaf tobacco which was then converted to tobacco suitable for smoking and distributed throughout Almeria, Granada, Jaen and Seville. After being satisfied that this was an illegal operation undertaken in breach of tax and health laws, the joint investigators seized a total of 95,000 kilos of tobacco, arrested two people, closed the premises and seized manufacturing equipment, records as well as a number of vehicles. The purpose of this study is to provide an experimental test of the effects of plain pack branding and graphic health warnings (GHWs) in three different countries for an important and vulnerable population, that is, adolescents who are experimenting with smoking. The effects of plain pack branding (logo present, logo absent), and graphic visual warning level (absent, low, medium, high) are studied experimentally for their impact on adolescent cigarette craving, evoked fear, pack feelings and thoughts of quitting in the USA, Spain and France. A total of 1066 adolescents who were experimenting with smoking served as participants in the study. A quota sample produced 375 respondents in the USA, 337 in Spain and 354 in France. Overall findings indicate that the GHWs were effective in impacting adolescent cigarette craving, evoked fear, pack feelings and thoughts of quitting. The plain pack effects were not as strong, yet reduced craving, increased fear, and decreased pack feelings for all three samples combined, and for US adolescent smokers individually, irrespective of the GHWs. For French adolescent smokers, plain pack effects for craving were limited to low/moderate GHW levels. For Spanish adolescent smokers, plain pack feeling effects were limited to the absence of the GHWs. The results show that plain packs can independently strengthen the more instantaneous, direct effects (short of quitting thoughts) found with the GHWs. Yet, the plain pack results were attenuated for Spanish and French adolescent smokers, who are currently exposed to GHWs. Spanish police have seized a record 88 tonnes of contraband tobacco, the equivalent of over eight million packets of cigarettes and arrested six people, the government said Friday. 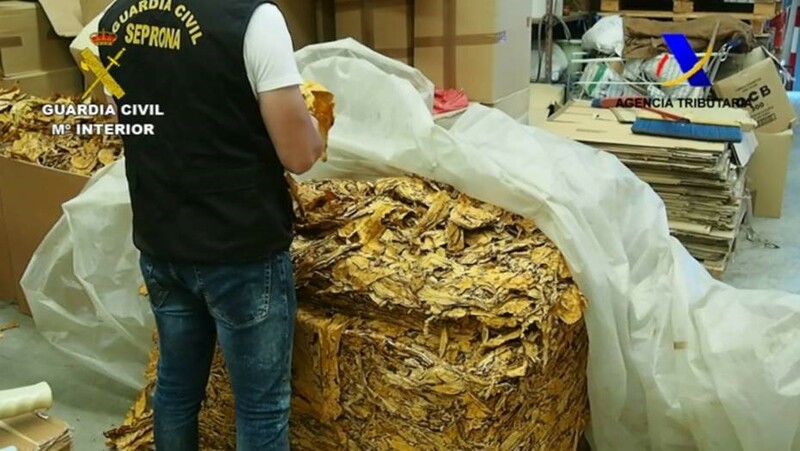 The tobacco was found in several warehouses in the provinces of Jaen and Almeria in the southern region of Andalucia and it had a street value of €14 million ($15.4 million), the finance ministry said in a statement. Police detained six people who are suspected of chopping up the tobacco so as to make cigarettes and then selling it over the Internet. “They even posted several tutorials online where they showed how to roll the cigarettes,” the statement said. The operation more than doubles the previous record seizure of 41 tonnes of contraband tobacco carried out in November 2015 in Andalucia. Eleven people were detained in Jaen and Madrid as part of that operation. The authorities suspect the six people who were arrested in the latest sting were trying to “substitute” the contraband tobacco operation that was dismantled last year. Both contraband operations came to light when legal tobacco sellers in Andalucia complained that their sales had dropped sharply.